Registered as Japan’s first UNESCO World Heritage Site alongside Horyu-ji Temple in Nara, Himeji Castle is a famous castle not only within Japan but throughout the world. 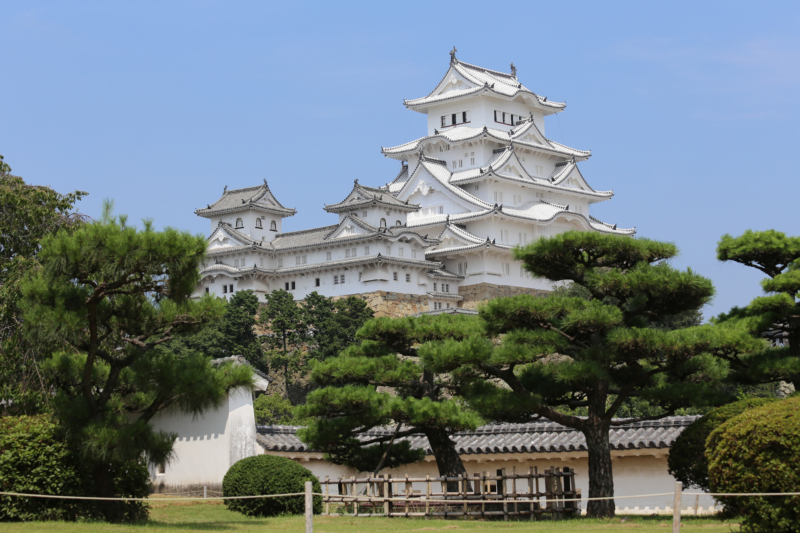 The castle is commonly referred to as “Shirasagi-jo” (White Heron Castle) for its completely white stucco walls and elegant appearance towering over the city. Although the current Himeji Castle was built by Terumasa Ikeda following the Battle of Sekigahara, according to “The History of Himeji Castle,” the castle began as a small castle built by Kanbei Kuroda’s grandfather, Shigetaka, and father, Mototaka. Kanbei Kuroda was born in that small castle on Nov. 29, 1546. According to the “Kuroda Family History,” on the day of Kanbei’s birth, the castle was blanketed in snow. In addition, Kanbei surrendered the castle to Hideyoshi after the fall of Miki-jo Castle in 1580, as Himeji Castle was deemed appropriate as the base for offensives into the Chugoku region. Hideyoshi later built up Himeji Castle with a keep featuring three watchtowers, and the tower provided a foothold for Hideyoshi’s quest to rule over all of Japan. Following the Restoration for Preservation in the Heisei Era (2009–2014), a grand re-opening was held on March 27, 2015, with visitors again being allowed to enter the castle and tower. 15 minutes on foot from JR Himeji Sta.